Apple is in talks with The New York Times, The Wall Street Journal, and The Washington Post about adding their content to Texture. Texture is a magazine subscription service Apple purchased earlier this year, and Re/code reported the company wants to bring three of the biggest newspapers in the U.S. into the service. Such a move presents both opportunities to the newspapers. 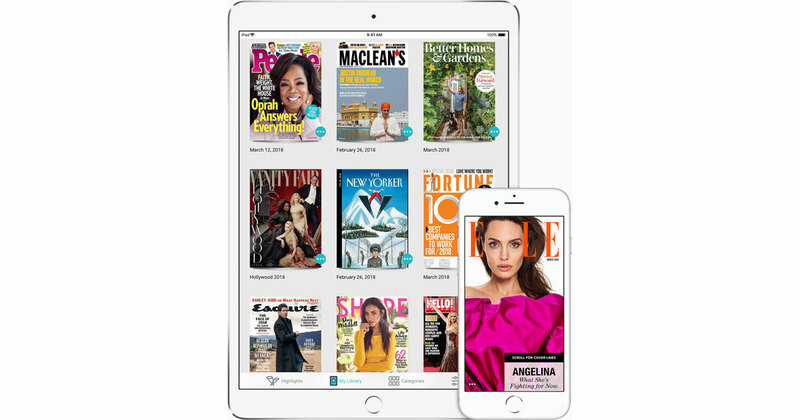 Texture — often described as a Netflix or Hulu for magazines — currently lets consumers read as many stories as they want from dozens of magazines for a $10 monthly subscription. It’s unclear whether Apple executives want to add stories from the three dailies into the same subscription service or market the papers as an add-on. The news publishing business has only gotten tougher in the last 20 years. While local newspapers have been hit the hardest by such things as always-on access to global content, Google advertising services, and competitive pressure on local advertisers (i.e. the twin behemoths of Amazon and Walmart), the big news publishers have struggled to evolve, too. Getting a piece of Apple’s ever-growing subscription services could be huge for these big newspapers, whether they contribute just a few articles to Texture or their entire daily catalog as an add-on. What’s interesting is that there are at least two flip sides to this opportunity. The first is that all three of these newspapers have already been affecting a transition to one degree or another to the digital future. The New York Times‘s young publisher, A.G. Sulzberger, has made an aggressive bet on digital, and currently charges $17 per month for a subscription (with occasional deals out there). News Corp. owned The Wall Street Journal also has a strong footing that allows it to charge $37 per month (with the occasional deal here and there). And then there’s The Washington Post, owned by ::checks notes:: massively rich billionaire Jeff Bezos, who also happens to be CEO of Apple-competitor Amazon. The Post has the cheapest regular monthly subscription rate of $10 (with deals available for new subscribers), but the thing Mr. Bezos has brought to his newspaper is radically transforming its business side, including its approach to digital. More importantly, those efforts have so far proven very successful. That segues into the other challenge, which is Apple itself. Content owners are loathe to give Apple control over their customer experience. The world of original content has never forgiven Apple for saving the music industry with the iTunes Store nearly 20 years ago, and content owners have been keen not to see a repeat in their own industries. All three of these newspapers are run really well, and while few will say their digital future is secure, they’re about as secure as any. Do they want to get deeper in bed with Apple? Are they willing to let Apple control their relationship with the subscriber? Are they willing to trade $10, $17, or $37 per month for a portion of Texture’s $10 per month? That is essentially the calculus. Firstly, note that Re/code reported that Apple is in talks with these companies, not that it tried to talk and was turned away. The newspapers are listening, and negotiating maestro Eddy Cue’s challenge is to show these three newspaper giants they can make more money being part of Texture than they can not being part of Texture. As a fan of journalism and someone who understands a free press is vital to a healthy democracy—and as a fan of Apple’s product and services—I’m hoping the calculus brings these three newspaper’s into Texture’s fold. I currently subscribe to both The Wall Street Journal and The Washington Post, and I’m considering a subscription to The New York Times. I’d get a Texture subscription in a heartbeat if it includes all three newspapers. Then again, that could be what all three newspapers fear, making me a sort of microcosm of what these four companies are thinking about.